My grade 11 high school teacher, the older sister of a good friend of mine, dated jazz saxophonist John Handy, famous at that time for his Live at Monterey album, which only featured two pieces, one on each side of the record. Through her I got to know Handy and met him whenever he came to Vancouver, which was surprisingly often. In the late 70s, I went to San Francisco to visit him and stayed at his house in the Mission District for a couple of days. Amidst the constant flow of visitors to his house we managed to talk a lot about music, and even played together a bit. One day Handy took me to the Ali Akbar College of Music. Ali Akbar Khan was the world’s foremost sarod player who had set up this school in 1965 and taught there every week except when he went on tour. We sat in on one of his vocal classes, and spent time talking with him after the class. The class was quite intense, but thoroughly fascinating. He was teaching the small divisions of a note and the associated ornamentations that are essential to Indian music. To be able to play an Indian instrument, a student needed to know all these nuances, and singing them was the best way to learn. I learned so much just in that one class that I really wanted to enroll in this school. Unfortunately I just couldn’t afford it, as money was extremely elusive for me in those days. However, meeting Ali Akbar Khan was amazing, as many people, including myself, consider Khan the world’s greatest musician at that time. Handy came to Vancouver a few more time after that and I always went to say hi and hear him play. I often wondered why more people didn’t pay attention to him, as the sound of his horn was very special I thought. 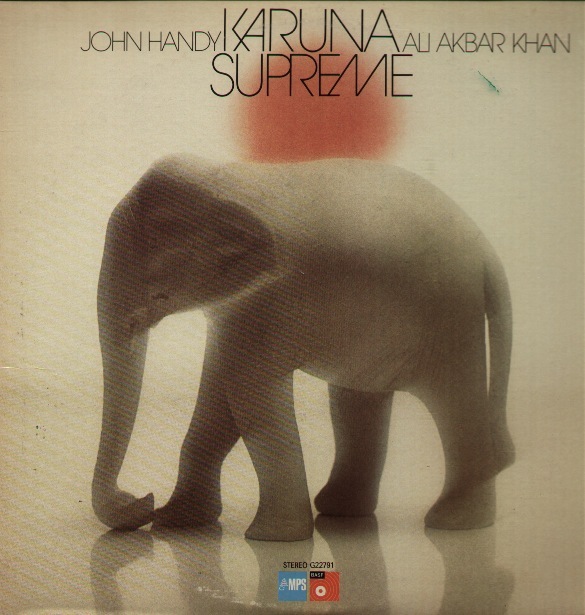 Karuna Supreme, the album that Handy and Ali Akbar Khan recorded together is still one of my favourites, because of the extreme beauty of Handy’s tone mixed with the sarod. 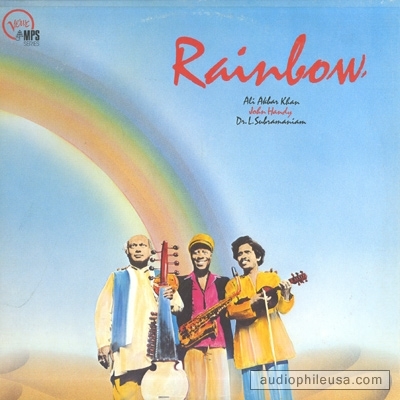 Handy and Khan also recorded another album entitled Rainbow with Dr. L. Subramaniam in 1981.